When we speak of 3D printers becoming more accessible, we logically think of easier access for individuals, DIY enthusiasts and makers. "Makers" literally means "those who make". If the term "makers" can be very generally associated with those who are able or who are passionate about manufacturing, in recent years it has become strongly associated with users of 3D printers. Here, we particularly associate them with DIY, hack and manufacturing enthusiasts in search of useful, clever and customised creations. 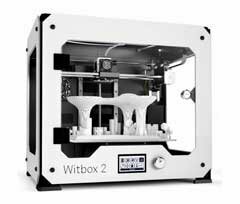 It should be noted that the use of a 3D printer for hobby or DIY purposes (usually by individuals) is the second largest, behind rapid prototyping. Why 3D printers for individuals? 3D printing for individuals is a truly fast growing movement, a new consumption and creation method bringing together highly diverse profiles. Thus, in absolute terms, makers can be DIY enthusiasts, those hooked on the community and sharing, gardening, decorating enthusiasts, budding (or not) inventors, technophiles and geeks, modelling buffs, those who are nostalgic of an emerging, quickly growing Internet, etc. Since freedom and manufacturing have become clear areas of interest, all these makers can now use 3D printers to achieve their most ambitious dreams! And since the boom in personal 3D printing, you, individuals, are accessing a new, highly advanced yet very financially and technically accessible means of manufacturing. A great opportunity to innovate, design, produce, repair, and possibly share and distribute your creations, and this in an independent, economical and fun manner! In the end, the revolution in 3D printing for individuals is an evolution of Do-It-Yourself (DIY for short), coupled with a 2.0 and open source spirit. A broken knob on your gas cooker? No need to buy a cooker for such a little problem... print it. A shower curtain ring has kicked the bucket? Ditto Treat yourself to the luxury of creating your own fully customised set of rings. Your jigsaw fell and the fairing is broken, making it unsafe to use? Add a 3D printed patch to it. An unfortunate doll has just lost a leg? Why bury it for so little? 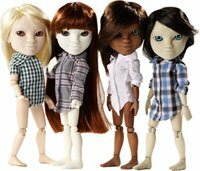 Toy medicine has just taken a leap forward. A chandelier? A switch?Any button? A lamda handle? A utensil?... 3D Printer. If you have a 3D scanner, you can also scan people or their bust in order to print a miniaturized version. 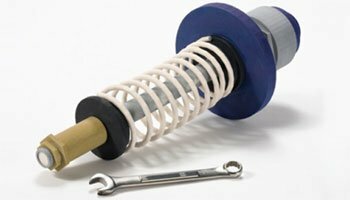 But 3D printers for the most inventive DIY enthusiasts and makers has proven to be more than just a repair tool. A particular need is felt and then its reclaims its role as a custom manufacturing tool! 3D printing for individuals is a genuine escape from standardisation, and the gateway to extreme personalisation. 3D printers now offer the opportunity to respond to the traditional "Too bad it doesn'texist", either for personal use or for future commercialisation. Custom tools, gardening items, useful everyday utensils, toys, and other innovative and practical designs are now manufacturable at will and at a low cost for individuals thanks to 3D printing! 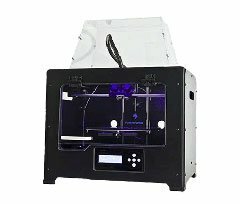 Individuals: which 3D printer should you choose? 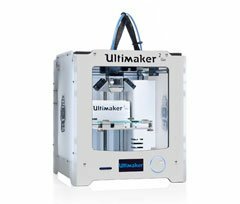 The Ultimaker 2 range provides the highest accuracy on the market for a fused deposition printer. 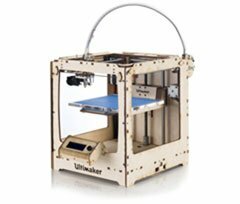 The Ultimaker 2 Go combines accuracy with a smaller budget in order to enjoy the quality of a large printer at a low price. The FlashForge Pro stands out due its sturdiness and its ability to provide good results (100 microns) for a reasonable budget. 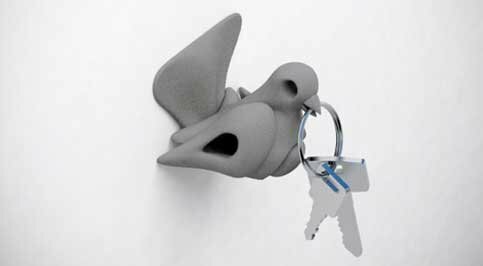 It is compatible with all materials and equipped with 2 nozzles for dual extrusion. Also enjoying accuracy that's unparalleled on the market, this Ultimaker Kit makes it possible to combine the pleasure of building your printer yourself with admirable results. Finally, if one of the goals is to repair and/or duplicate existing objects, it will probably be useful for you to equip yourself with a 3D scanner. 3D scanners are a tool that allow you to scan the object that's broken or that you want to duplicate in order to extract a printable 3D model. 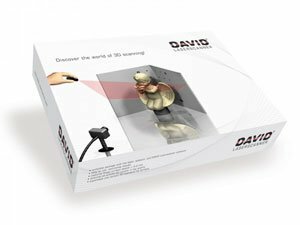 For small objects (less than 30 cm3), the scanner with the best value for money is currently the David Starter Kit; it's economical while offering a very good resolution of 200 microns. The perfect tool for a good start in 3D scanning!